Sue--Your tips are helpful, especially to me right now. I was thinking of a cutting a part--it seemed kind of draggy--but I reworked it. However, I'm still wondering about it. I think it moves the story forward/gives some background on the main character...or am I just hanging onto a scene that truly needs to be cut? We'll see. Thanks for the post. This is something all writers need to keep in mind as they craft their pieces. Cutting is really hard to do. I find that most often when my critique group tells me that something has to go, it is something that I've been wondering about myself. 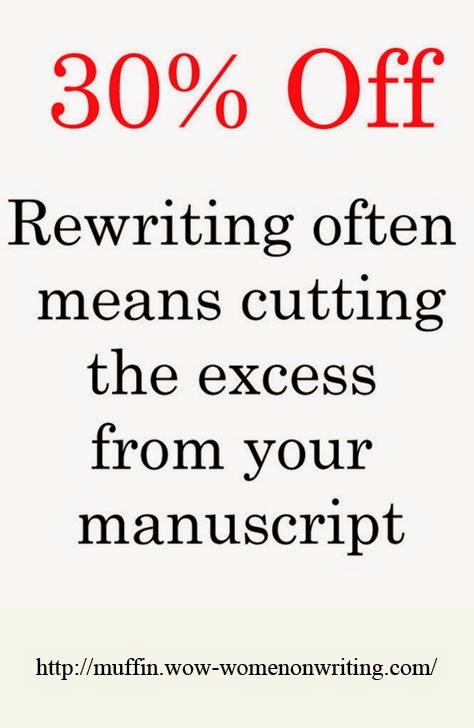 Good luck with your rewrite and I'm glad you found the tips useful.